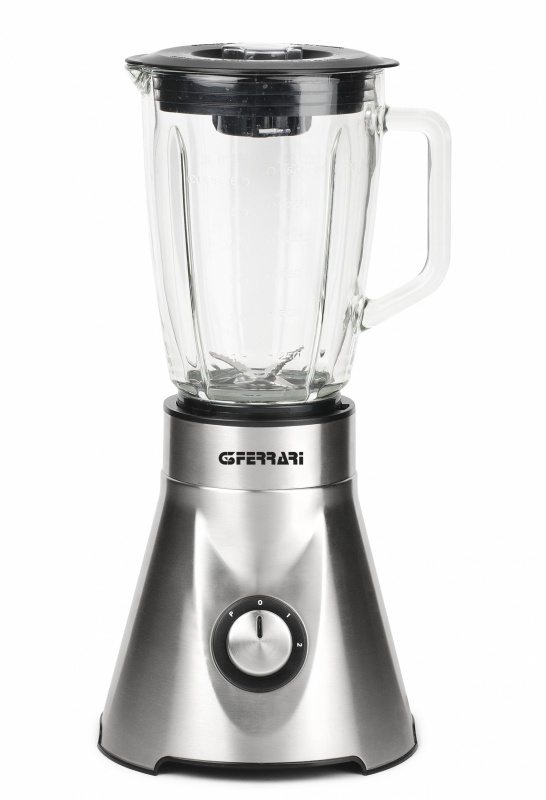 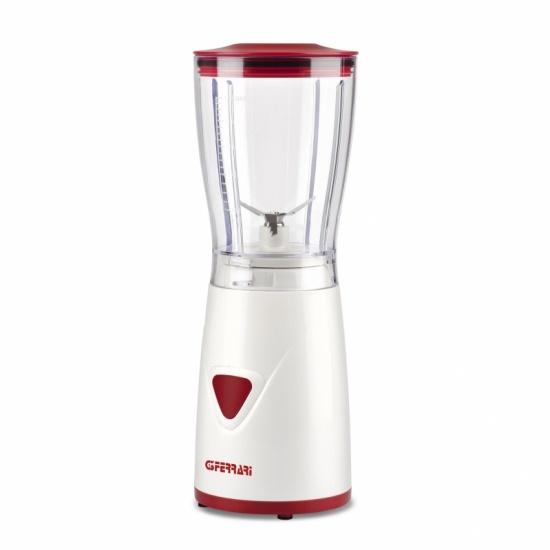 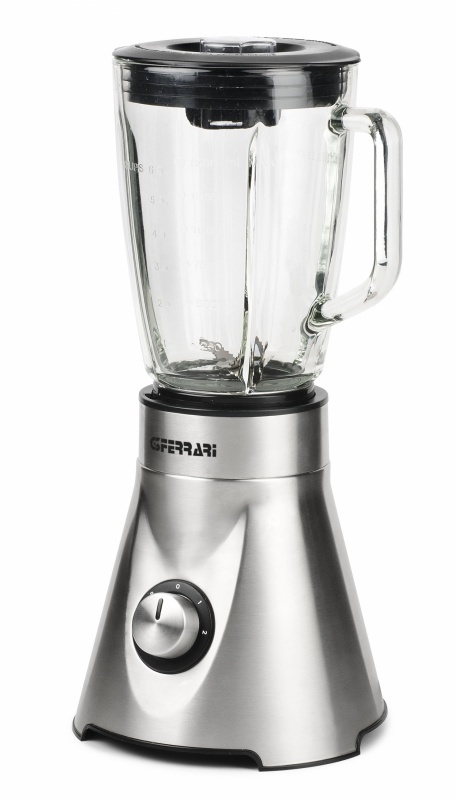 Professional blender with powerful and quiet motor, Frullo features a capacity of 1.5 liters, which, in combination with 6 stainless steel ice crushing blades, guarantees top performance for every kind of working. 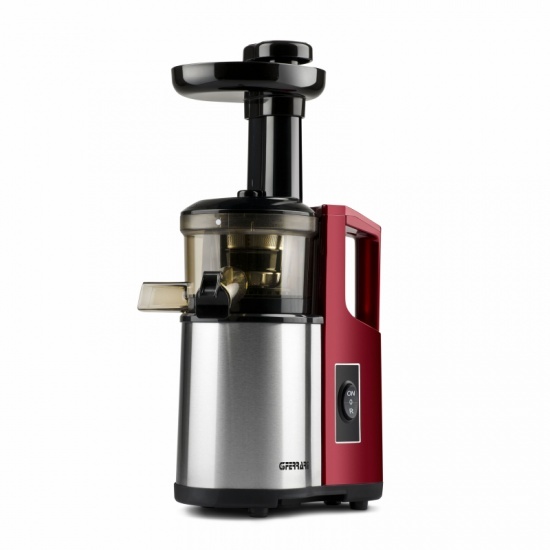 Equipped with 2 speed with PULSE option and glass graduated jar, Frullo features a locking system that prevents accidental starting, to always ensure maximum safety during operation. 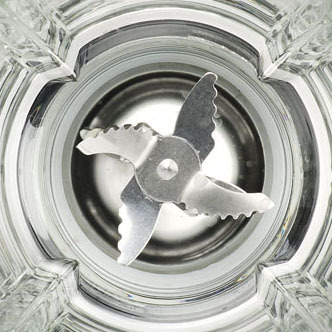 The unit is completely disassembled in a few seconds and the glass is dishwasher-safe for convenience. 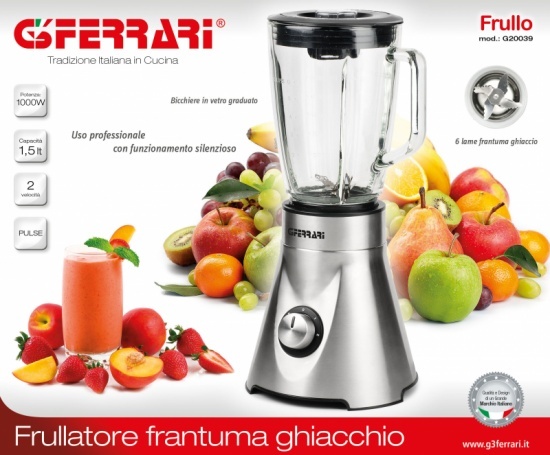 Fill out the form below to request information about: Frullo - G20039.